Edwin Shaw Challenge Golf Spring Clinic. Cost is $5 and includes golf instruction, snacks, and drinks. 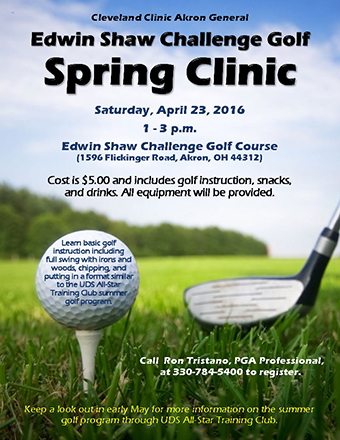 Call Ron Tristano, PGA Professional, at 330-784-5400 to register.